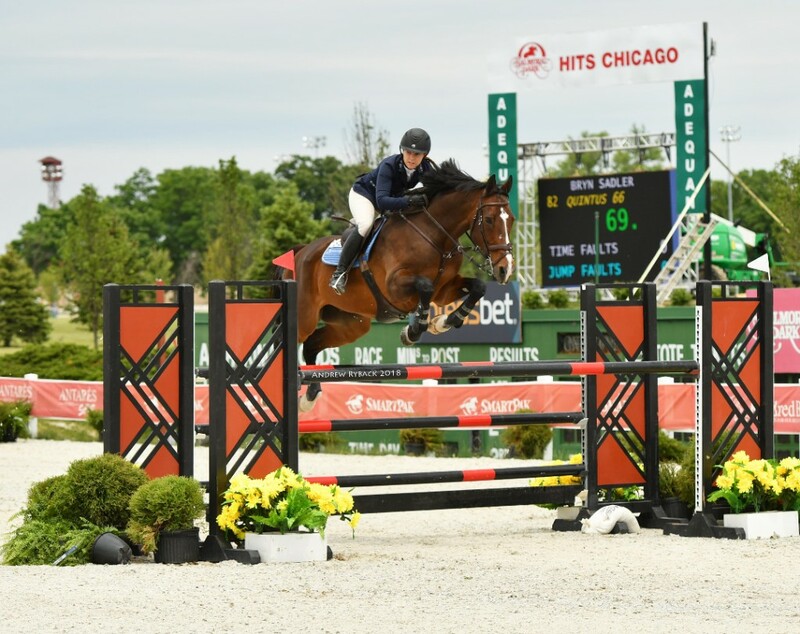 HITS Chicago is back for another three weeks of prestigious horse shows at HITS Balmoral Park. The Showplace Spring Spectacular Series kicked off this past Wednesday with the $5,000 Johnson Horse Transportation Open Welcome. Bryn Sadler would be the one to come out on top aboard her mount QUINTUS 66 after a fault-free jump-off time of 44.121 set her apart from the rest. Savannah Talcott was second with ESPATAKO'S ELECTRA R as the fastest of the four-faulters in a time of 41.562. Sadler took another top-five placing aboard CEZARRO, taking third in a four-fault time of 43.310. Fourth was Liz Atkins and UNDINE and fifth was Lisa Goldman and NIKE. $5,000 Johnson Horse Transportation Open Welcome. $50,000 Purina Animal Nutrition Grand Prix. 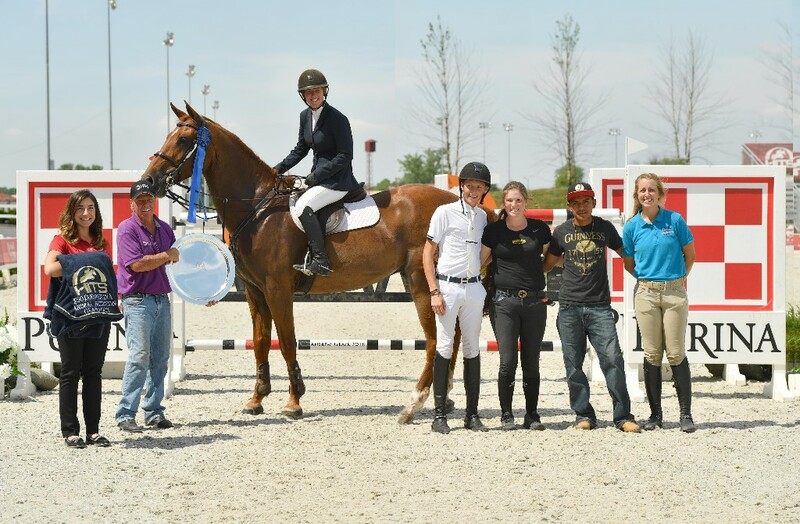 On Thursday the $10,000 KindredBio Jumper Prix came and went, with Emanuel Andrade taking first, second, and fifth place aboard RICORE COURCELLE, ANASTASIA DU PARK, and GRAN MAMUT in jump-off times of 35.713, 36.511, and 37.857, respectively, continuing his winning ways after a successful season at the HITS Ocala Winter Circuit. Rachel Schnurr was third aboard PRINCE GARBO in a jump-off time of 37.326 and Dorothy Douglas was fourth with S & L ELITE in a jump-off time of 37.810. After a very close jump-off in the KindredBio Prix, excitement rose in anticipation of who would win the $50,000 Purina Animal Nutrition Grand Prix on Saturday. As Saturday approached, preparations began for the $50,000 Purina Animal Nutrition Grand Prix and the stands filled with spectators anxiously awaiting riders to show off their skill. After another impressive jump-off, Douglas came out on top, taking the win aboard S & L ELITE in a jump-off time of 38.323 and taking home $15,000 in prize money. Only a second behind, Goldman and HINDSIGHT took second in a jump-off time of 39.432. Andrade and RICORE COURCELLE took another top-five placing, riding to third in a jump-off time of 39.862. Talcott was fourth aboard ESPATAKO'S ELECTRA R in a jump-off time of 41.973 and Tony Font was fifth with NLF FAVORITE in a jump-off time of 45.495. Andrade and DIPSSY soar to first place in the $10,000 SmartPak Jumper Classic. 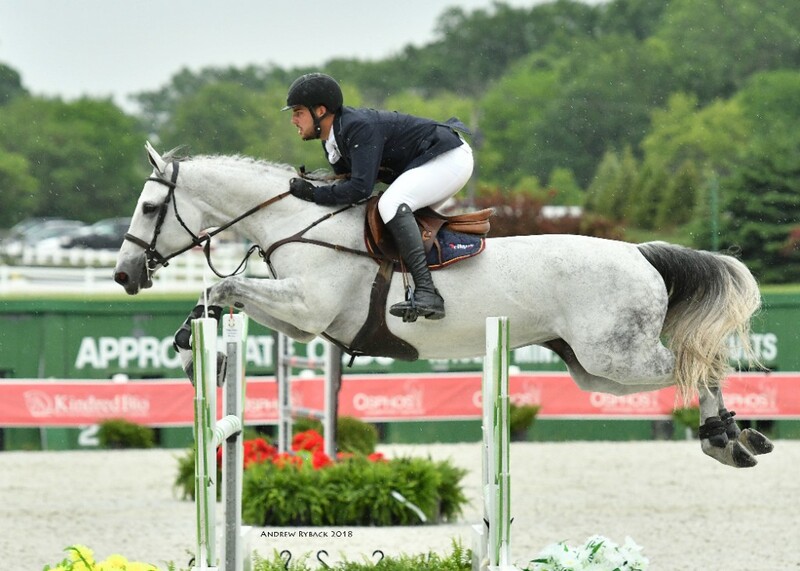 Wrapping up Showplace Spring Spectacular I, Andrade took the win on Sunday in the $10,000 SmartPak Jumper Classic aboard DIPSSY in a jump-off time of 33.096. Andrade was also third and fourth with CORTINA 186 and BOY IV in jump-off times of 33.900 and 34.305, respectively. Douglas was second aboard CHACCO LAIT in a jump-off time of 33.112 and Andrew Barone was fifth aboard CARICA 4 in a jump-off time of 34.922. In the Hunter Rings, Kim Barone took the top three placings in the $2,500 USHJA National Hunter Derby aboard CYRIL, DIALICIOUS, and ROC-A-FELLA with combined scores of 173, 171, and 163, respectively. Fourth place was awarded to Ashley Scofield and MAKER'S MARK with a combined score of 157 and in fifth was Marian Sykes and CLAUDIUS with a combined score of 151. Kim Barone and CYRIL, winners of the $2,500 USHJA National Hunter Derby. HITS Chicago will be back this week with Showplace Spring Spectacular II, featuring the $50,000 HITS Grand Prix and over $100,000 in prize money for the week. Visit hitsshows.com for more information and follow us on social media for day-to-day updates.